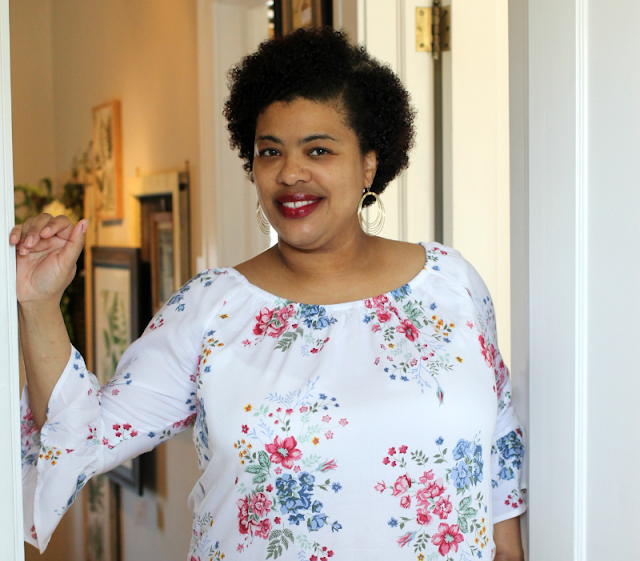 Have You Seen the New Target Beauty Box? Ladies, have you seen the new Target Beauty Boxes? They are everything you hoped they would be! I'm all for taking "me time" so when I saw the Treat Yourself Target Beauty Box, you know I had to make it mine. But this time I didn't have to buy it online as usual. There was an option to ship it to my local Target. This is the first time I've seen this for Target Beauty Boxes. Since my daughter had already tried the ship to store option I decided to give it a try myself. It was fairly easy I did have one snafu though. I picked up my beauty box at the customer service desk but when I got home and begin to open it I realized it was the wrong beauty box. It turns out that the person who fulfills the orders put the wrong beauty box in my bag. Luckily they had more when I returned the next day. Inside you'll find all the things you need to pamper yourself from head to toe. 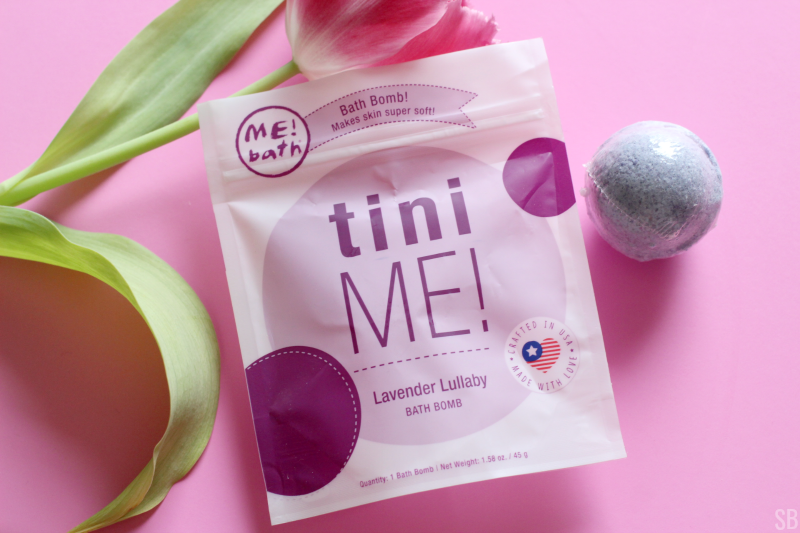 Me Bath bath bomb – this lavender bath bomb has salts and oils that soak into the skin when added to your bath. It smelled great but it did fizzle right away. Luxe by Mr. bubble Sweet & Clean Meltaway Bath Candies – Coco and Shea butter bath candies with vitamins E and C to give you silky smooth skin. 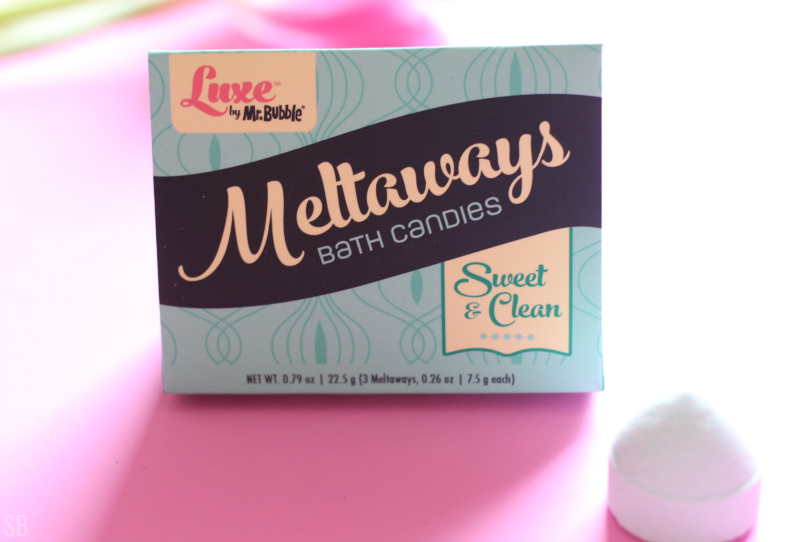 I haven't tried this one yet but it smells nice so I'll add it to my next bath. Honest Beauty Refreshingly Clean Gel Cleanser – a botanical cleanser that is fresh and removes dirt without overdrying your skin. It reminded me of Aveda scented products. My skin did feel a little dry after using it. Dr. Teals Pink Himalayan Foaming Bath – pink Himalayan salt with Bergamont and sweet orange essential oil's to help relieve stress. I used this as a body wash instead and loved the scent. It smelled like freshly squeezed oranges which is a perfect morning pick me up. Bodycology Free & Color Coconut & Rose Body Butter – Coconut and rose body butter to treat rough areas and make your skin smooth and hydrated. Since I'm not a huge fan of rose scented body products I don't care for this one. I'll use it though. 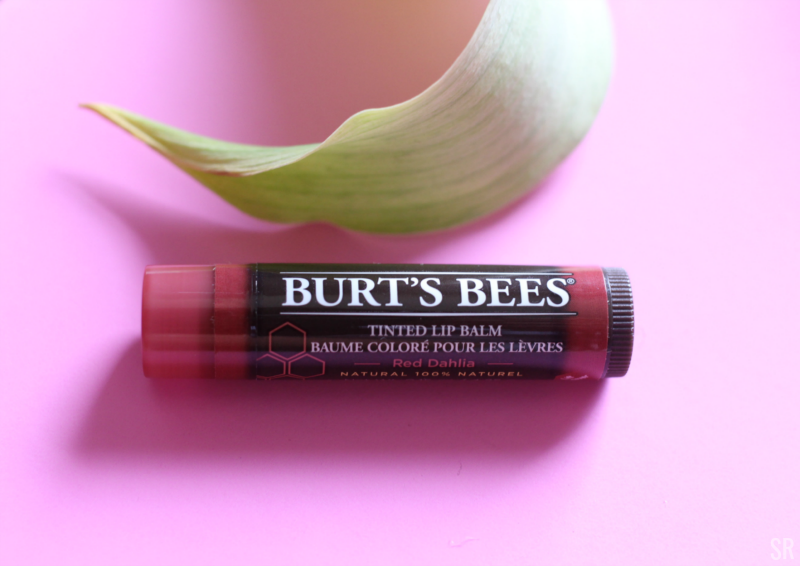 Burt's Bees Tinted Lipbalm Red Dahlia - Shea butter and botanical lip balm. Of all the goodies I got in my target beauty box this was the one I liked the least. Which is crazy because I love lip balm. Don't get me wrong, it goes on smooth as butter and has a little bit of tint to it but the smell and taste are just yucky to me so I know I won't be buying this one. I also received the Olay Regenerist Whips facial moisturizer in this beauty box but it is not pictured above I will review it in another post so stay tuned. This is one of my favorite target beauty boxes even though there are a couple things I don't like. I feel like I'll use most everything in this box and for $7 that's not bad. Purchasing it in store is a huge + for me. The only problem is that there were about eight boxes per set so the stock is very limited. Still, if I know this is an option I will check in store first. Have you tried the new target beauty boxes? What are your thoughts? *This is NOT a sponsored post but does contain affiliate links. I love the newly redesigned box. I kinda stop doing subscription boxes for awhile. I'm not sure if I will get back into it. I would definitely try out a beauty box from Target because it's my favorite store. The box is totally cute. I see a few products I would like and try. I’ve heard of the Target Beauty Box, but I have never tried one. The price is right. Boy! How did I miss this one? I love it want will be getting one for myself and a few friends. Can't beat the price! I have not tried the beauty boxes in Target, didn't know they sold them but honestly I probaly wouldn't purchase this beauty box. Bath bombs looks like something I may try. I've seen so many rave reviews. Why haven't I tried this yet?! Will check out this week. I am so glad that these boxes are now available in the store. It was like luck of the draw trying to order them online! 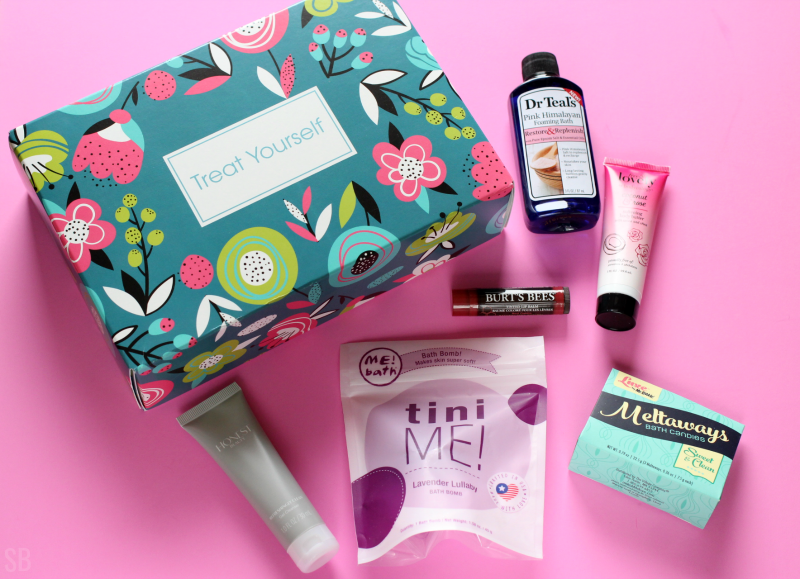 I have not tried to target beauty box. But I will say that the box is a great way for people to try out items I wouldn't normally purchase. Still, I haven't tried Target boxes yet. But, I'm determine to try one since the products they offer looks good to me.